Since 1990, Brian G. Janis, P.C. has served the legal needs of the greater Brownsville, Texas area, delivering highly professional legal services on a cost-effective basis. Attorney Brian G. Janis brings more than 30 years of experience to every case. Our firm is available to assist new clients on a wide variety of matters related to: -Criminal law -Family law -Immigration law -Business law -Real estate law -Litigation Deeply rooted and respected in the Brownsville community: Among the great assets of Brian G. Janis, P.C. is our close connection to our neighbors and the businesses in our area. Anyone intending to start a business in Brownsville, expand operations or relocate here can benefit from our knowledge of Brownsville's business climate and its prominent figures and institutions. Our reputation for professional and ethical legal service is confirmed by our legal colleagues, who have made us BV Distinguished Peer Review Rated by Martindale-Hubbell. Diverse services contributing to reliable representation: Besides his vast experience as an attorney, Brian G. Janis also serves as an arbitrator, resolving legal disputes in a cost-effective and fair manner. Our firm also includes (as Of Counsel) Maria Linda Gonzalez, a Family Law Mediator with more than 20 years of experience. Our firm retains the services of a skilled Spanish translator. It is our goal to provide the most thorough and personalized service possible for our clients. Whether you are planning to start or are expanding your business in Texas, an experienced and knowledgeable business law attorney can help expedite the process and ensure your success. Brian G. Janis, P.C. assists individuals and businesses of all sizes with: -Commercial and civil litigation -Business formation and advice -Due diligence -Financing of business entities -Contract review and development -Contractual disputes -Buy-sell agreements -Business owner disputes With more than 30 years of business experience, Brian G. Janis, P.C. is well prepared to handle business legal issues of any size or complexity. If litigation becomes necessary, we work tirelessly to defend your rights in court and provide the best possible results for your case. Realizing your business dreams: One focus of our firm is helping clients start their own businesses. 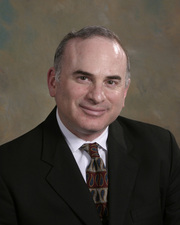 Brian G. Janis, P.C. reviews your business plans and advises on issues involved in business formation and maintenance, including potential liability, corporate entity formation and tax structures. Once your business has been established, we continue to help it grow by advising you on insurance coverage, financing the business and corporate compliance issues. We also look after your best interests by finding strategies to limit your personal liability and improve your bottom line. Helping business owners move forward: Brian G. Janis, P.C. works closely with business owners to ensure businesses run smoothly. We often negotiate and draft contracts and buy-sell agreements, assist with corporate compliance measures and tax filing(s), and represent businesses in corporate disputes and commercial litigation. We are seasoned negotiators and litigators, and know how to represent your interests to successfully resolve your issues in the boardroom or the courtroom. Phi Beta Kappa; Pi Sigma Alpha; Phi Eta Sigma. Recipient, American Jurisprudence Award for Business Organizations. Cameron County Counsel, 1984 - 1989. Member, Cameron County Industrial Commission/Cameron County Industrial Development Corporation, 1985 -1991. Special International Bridge Counsel to Cameron County.